If you’ve maxed out your credit cards and getting continuous calls from the credit card debt collection agencies, you need not fret as there are millions like you who are going through the same situation. Are you wondering how you are ever going to pay down the entire debt amount that you owe? Now imagine a company claiming to reduce your debts by 60-7-% of the actual amount that you owe? Would you just run for that company without even thinking about their authenticity? If answered yes, you’re probably mistaken as this would be a blunder that would lead to a mess in the long run. Although everyone owes a huge amount on their credit cards and loans, there are very few who are able to get out of this financial stress. Have a look at some of the legal questions that you would need to ask yourself before getting debt settlement help. Do I know the way in which the debt settlement program works? Before taking the plunge in the debt settlement bandwagon, you should ask yourself whether or not you know how it actually works. Well, when you sign u with a company, the debt settlement consultant will give a close look at your finances so that they know where you stand. They will check your income and expenses and then negotiate with your creditors requesting them to lower the total outstanding balance so as to facilitate the entire repayment schedule. Once they agree, you’ll have to repay the remaining amount either in small affordable monthly payments or in a lump sum. The sooner you can repay your debts, the sooner you can become debt free. What is the fee structure of the debt settlement companies? Since there are too many debtors who are drowning under a crushing debt burden, there is a constant rise in the scam debt settlement companies that make grandiose promises and when the times comes to fulfill their promise, they just vanish with your money. If you see a debt settlement company charging you high upfront fees before even reducing a portion of the debt amount, you might be sure that it is a scam artist who is trying to deceive you. As per the FTC, charging upfront fees before reducing a portion of your debt is illegal. What is the impact of debt settlement on my credit score? As the entire lending industry is based on credit, most debtors wonder about the impact of debt settlement on their credit score. If you too are someone who is wondering about the same effect, you should be aware of the fact that debt settlement reduces your credit score. As you’re not repaying the total debt amount that you owe, this will have a detrimental impact on your credit score. There are many companies that might not disclose this effect but you should still be aware of them. 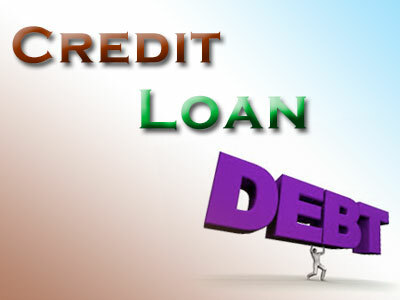 So, if you’ve amassed a huge amount of debt on your credit cards, seek debt settlement help. Ensure improving your credit score as soon as you complete the process so that you can get new lines of credit at a favorable rate. About The Author: Andy Raybuck is a financial writer with Debt Consolidation Care who has expertise in dealing with financial issues. He tries to impart to people the different situations and simple solutions to get out of difficult situations by contributing financial write ups to websites and blogs so that he can help people who are struggling with financial worries. Disclaimer: This post is a guest post, The content and image both are provided by the author of this article.